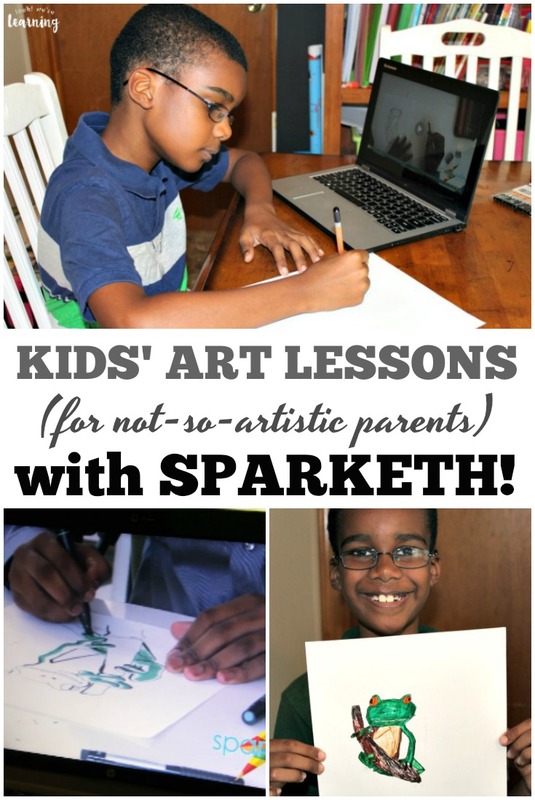 Easy Art Lessons for Kids with Sparketh - Look! We're Learning! I love, love, love the arts. Watching them, that is. Honestly, I’m not awesome at painting or sculpting or drawing. And the idea of trying to teach those skills to my kids was downright intimidating to me, which caused me to put it off over and over again. 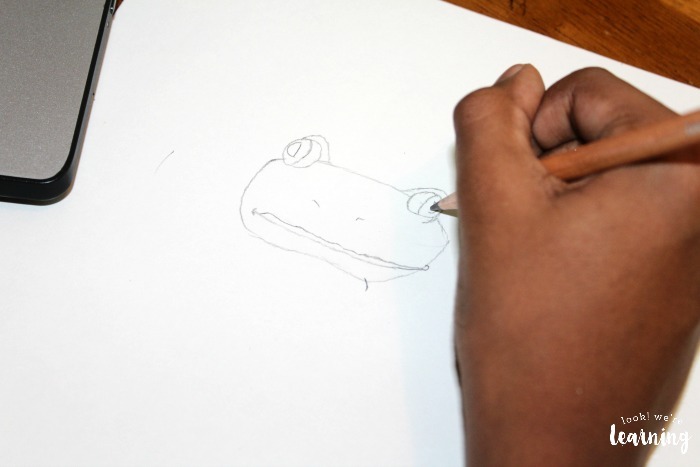 My kids, though, were excited to learn to draw, paint, sculpt, and everything else. And I didn’t want to keep holding them back just because I was unsure about how to get them started. 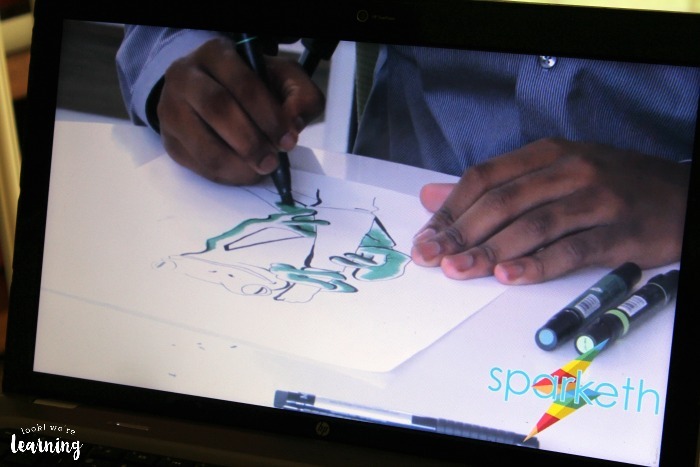 That’s why I was so thrilled to get the opportunity to try the easy art lessons for kids from Sparketh! 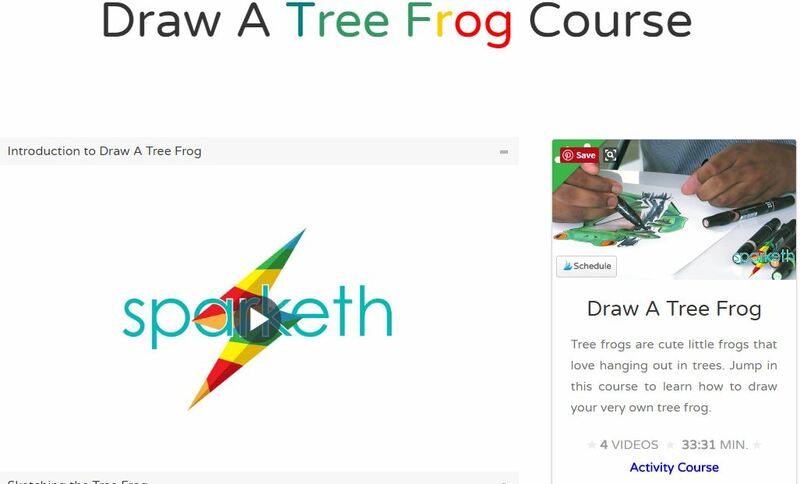 These totally online art courses offer complete video instructions for kids and teens (and anyone else really) and you don’t need any artistic experience at all to use it with your kids! 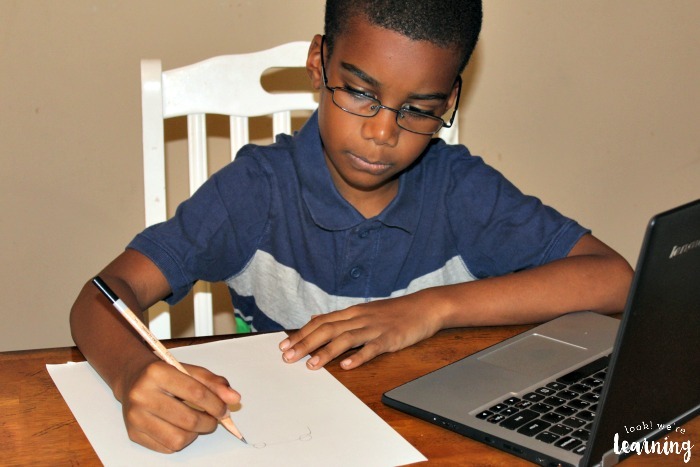 Read on to see how Sparketh Online Art Lessons can make it easy for even non-artistic parents – like me – to teach art at home! Disclosure: I received access to this program in exchange for this post and I was compensated for my time. All opinions are my own and I was not required to write a positive review. 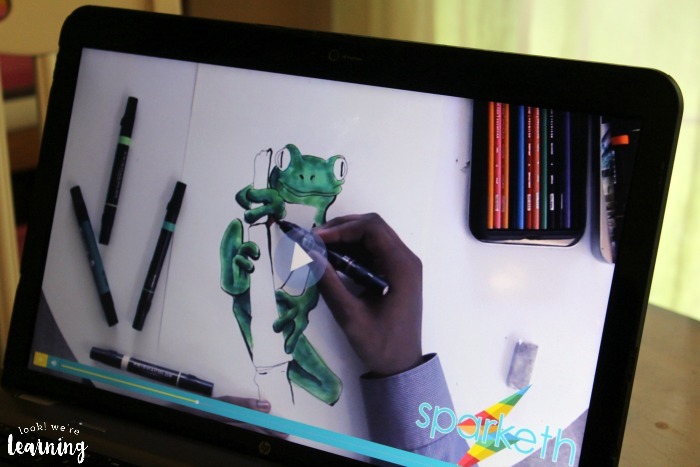 Sparketh was launched in July 2015 with online art courses. Since then, the course offerings have expanded to include tens of different lessons, including drawing and painting, in varying degrees of difficulty. You can choose from Beginner, Intermediate, or Advanced. Since we were using the program with our eight-year-old, we chose from the Beginner category. But I’m glad that he can move on to more advanced courses as his skills improve. That way, you don’t really “age out” of the curriculum. 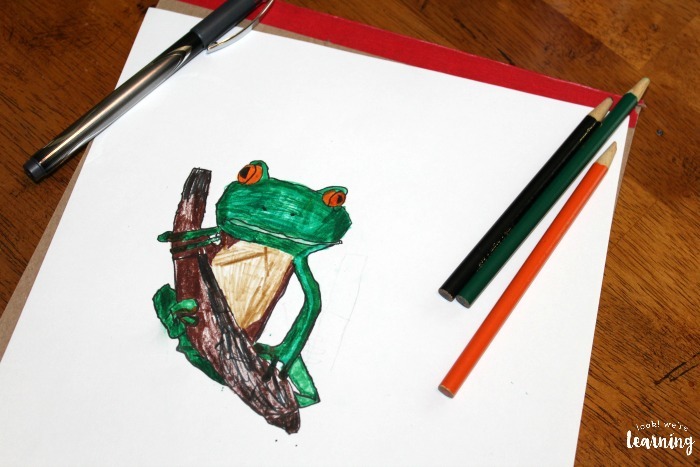 One of the featured courses was the “Draw A Tree Frog” course. My guy is all about animals, so this was a natural fit for him. Since we are raising kids with attention span issues, I was concerned about my son’s ability to stay interested and engaged throughout an entire course. So it was a pleasant surprise to see that many of the courses are fairly short – 30 minutes or less. Even better, Sparketh Online Art Lessons are separated into several videos, which makes it easy to stop and start the course as needed. I also loved that the specific supplies were listed upfront, so I could browse for a class that used materials I already knew we had at home. 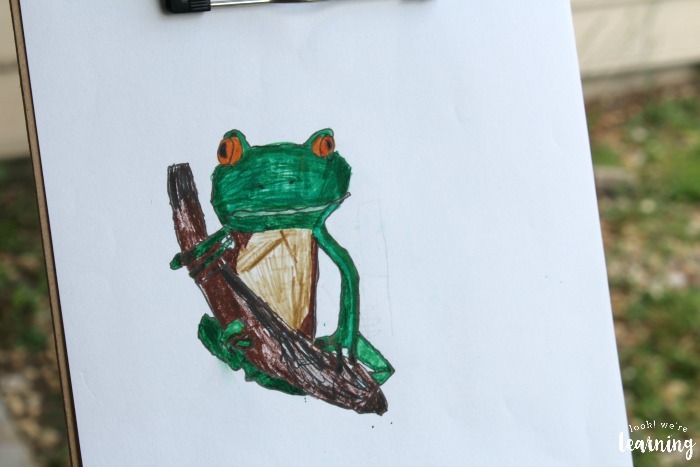 Our eight-year-old has been wanting to learn to draw for the longest. 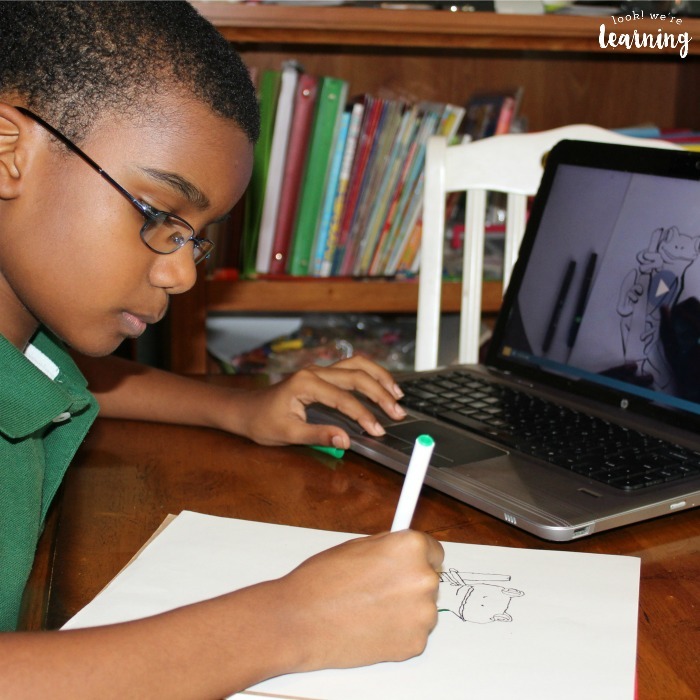 He practices drawing things on his own, but he’s been wanting more structured lessons. 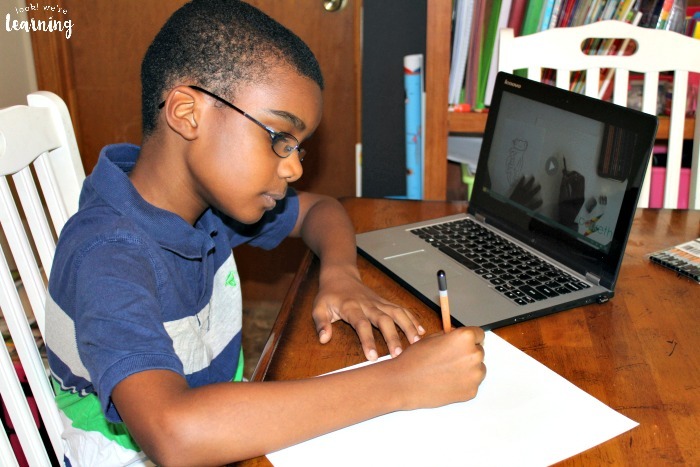 Since his auditory processing skills are not as well developed as his visual processing skills, having an online art video lesson that he could pause, rewind, and resume as needed was a wonderful help. Any time he was uncertain about what to do, he could just go back, watch it again, and gain more confidence. As he learned in the course, the best way to begin a drawing is by sketching lightly. 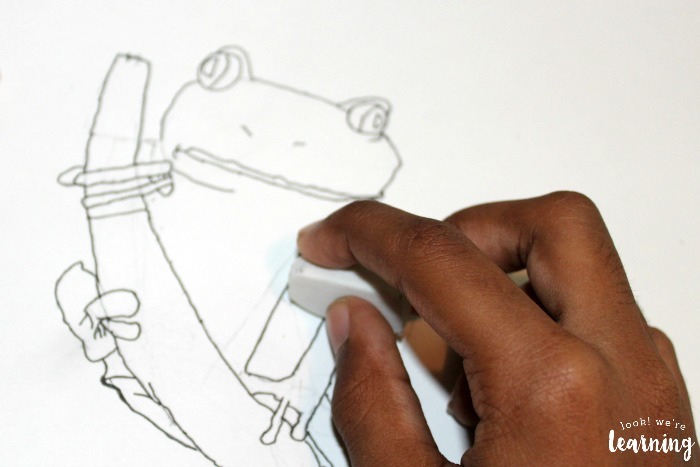 Then you outline the finished sketch in ink pen and erase any unnecessary pencil marks. Then – and only then – it’s time to add color. That was a critical step he’d been missing. Doing the foundation work early on helped him create a project he was proud of before finalizing it. 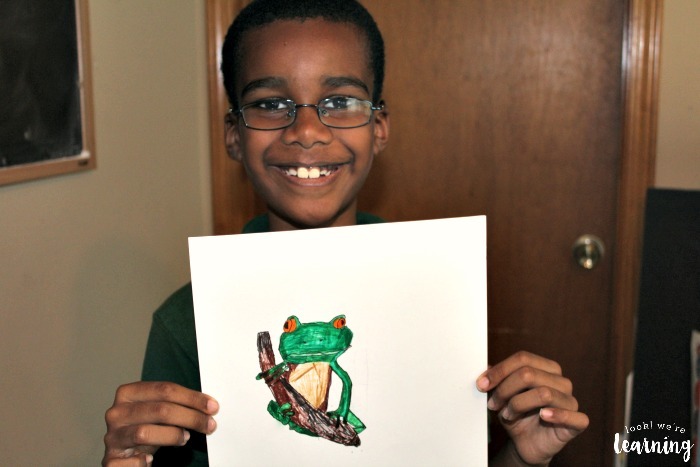 He really enjoyed using several different marker colors to make his tree frog look as realistic as possible. I thought it was fantastic that Sparketh Online Art Lessons actually show the entire process of creating the work from start to finish. It made the lesson much more accessible for newbies. Going in, my son already felt that he could do the work right along with the artist. Finally, he added a few finishing touches. He was so proud of his work! This is definitely going on the wall. And it was his very first lesson! 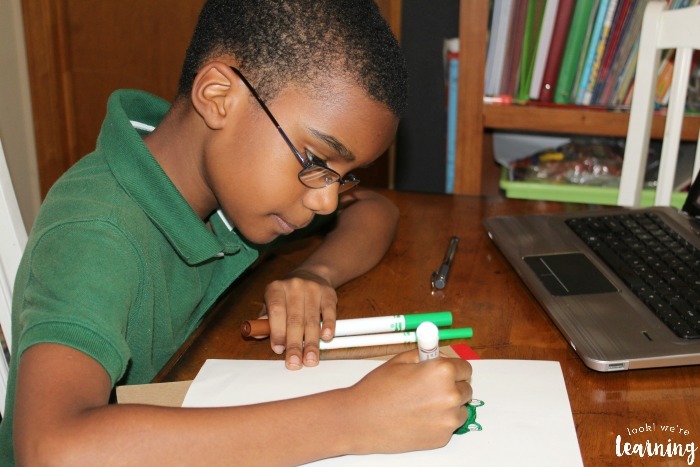 I’m looking forward to seeing how much he progresses as he works through the different Sparketh Online Art Lessons. Ready to try out Sparketh with your kids? 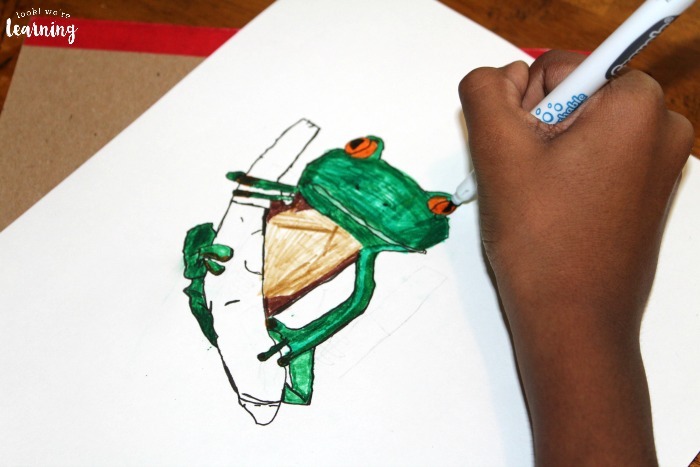 Sign up for a free one-month trial to get your children started with easy art lessons for kids (and their not-so-artistic parents)! 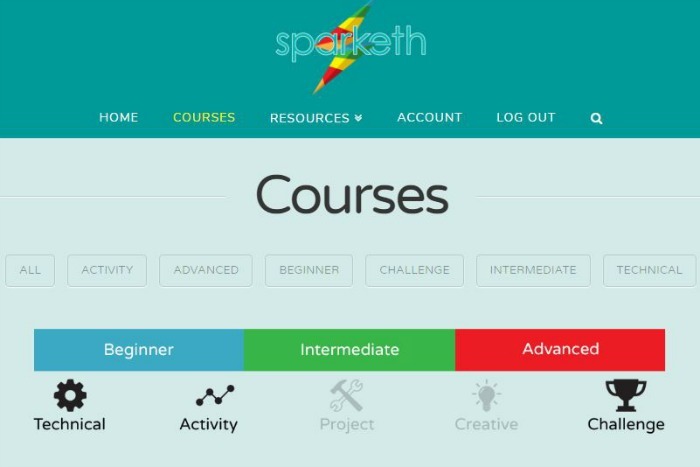 Want to learn more about Sparketh? Follow the company on social media for news and updates about new courses, offers, and more! And for more ways to add art into your homeschool, follow my Art Ideas for Kids board on Pinterest!